The great little device that is Rokuu has added to its armoury a not insubstantial ten new content channels to its set-top box. The channels include podcasting, social networking and music. Roku, who make the little device that packs a punch, wirelessly able to stream media content from the internet onto any TV screen, is expanding from the current paltry 3 channels to a rather splendid 13. Channels for Blip.tv, Facebook Photos, Flickr, FrameChannel, Mediafly, MobileTribe, Motionbox, Pandora, Revision3, and TWiT will join the current lineup of Netflix, Amazon Video On Demand, and the recent addition MLB.TV. Roku will introduce these channels in the Roku store which is similar to other app stores springing up on every mobile device around. Roku users can choose which applications to show on the home screen. The content can be sorted by “new,” “most popular,” and “top-rated.” But happily for all, these are free of charge. Access to the Channel Store and the new content will be rolled out automatically to existing Roku box owners over the next two weeks. 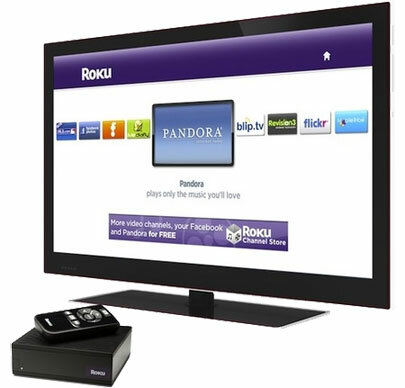 New customers will need to sign up for a free Roku account to be able to download and manage their chosen channels. Roku have said that 13 channels in the store is just a start and that there will be a steady stream of new channels showing up between now and the Consumer Electronics Show in January. Of course this still does little to compensate for losing Hulu channels. Although there is a promise that ‘Hulu is coming soon’. Still, at a great price point starting from $80. Roku are also offering a free software developer kit for anyone that fancies developing a new channel for Roku. This little beauty can only be a bargain with the new content and promised content coming soon. TVU Player is a controversial Peer 2 Peer player by China based TVU networks uses P2P technology to broadcast TV programs live over the Web. The player has caught media attention over the fact that it streams regular TV channels via the internet without permission. 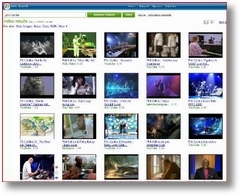 TVU Player is like the other popular P2P software available Free. its not a very stable creation and you may find that it fails to initialize or the channels lag. 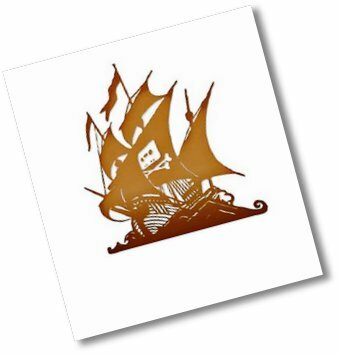 If you are watching a popular TV program there will be a large number of peers sharing the load and the transmission should run nicely. For this reason its always a good idea to check the number of peers before viewing a particular channel. TVU networks brings you programs from around the world that you can’t get from your local cable and satellite providers. TVUplayer streams about 40 different channels including some biggies, from a large American sports network to the major Chinese television channel: ESPN, ESPN 2, ABC, HBO, CNN 1-4, NBC, CNBC, Fox, CBS, Al Jazeera, Cartoon Network, Disney Channel, Animal Planet, NASA TV, DW TV (German), Comedy Central, Sports (NBA, NHL), CCTV-5, Fashion TV, E-Music, Hollywood Movie channels amongst others. You can watch everything from hard to find special interest TV channels, international sports channels, music, movie, lifestyle, news, and more. 1. Download the TVU networks TVUplayer software and install it. 2. Run TVU networks TVUplayer. 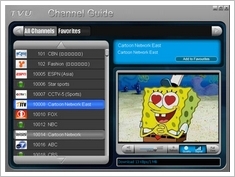 The list of available channels will appear. 3. Double click on the TV channel in the channel list to watch it. Note: Windows Media Player should launch itself after selecting a channel. Make sure that you have already installed the Windows Media Player. Its a good idea to refresh the channel list occasionally to check whether new channels are on offer. * No pause, on demand video, rewind, recording features etc.